THERAPISTS AND HYPNOTISTS ON CALL ONLY IN HOLLYWOOD: That Come to You..
www.handsblue.com Hollywood is all about comfort, often the chauffeured kind. You can order food, prepared and delivered according to your most demanding needs. Personal shoppers run booming businesses, where clients select denim and clothing from samples brought to their living rooms. And now, spas come on order as well, to your office, home or hotel: Meet InSpaLA. The brainchild of Colleen McClafferty, InSpaLA opened just last year, gathering together over forty of LA’s top spa and wellness therapists in a mobile network. She got the idea of taking their spa services on the road after having repeatedly heard how her mover-and-shaker clients were too busy to come to her. “People love to be pampered without the stress of the day spa experience, driving, parking, staff and facility issues,” says McClafferty. “I used to manage a top Santa Monica Spa, so I know the complaints well. With traffic and gas prices rising, our services are even in higher demand.”It was the same for most of her therapist friends, who have been in the industry for many years. 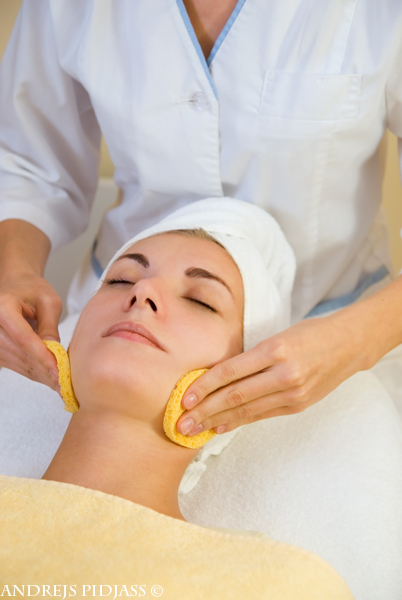 InSpaLA’s three top services are massage, nails, and skin care (facials/makeup). “We believe that these mobile spa services are so popular because we take the stress out of your relaxation,” McClafferty explains. The services, which can be ordered online, are especially popular for parties. McClafferty estimates that the company works 1-3 parties a week, including larger affairs for production and event companies. “We did a party recently in Hermosa Beach for 20 women, a bridal shower,” she offers as an example. “We arrived to a mostly empty beach house and took over. 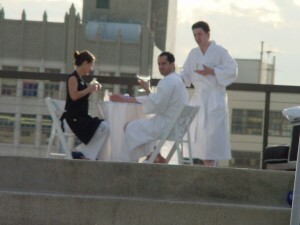 Everything from flowers and decor to candles and food.” In addition to ordering, picking up and plating sushi for the 20 guests, they set up massage tables on the rooftop, where the girls took turns getting their massages, while nail and skin care services were being done inside. “The party was a huge success,” McClafferty says. Guests, she says, usually wear comfortable lounge clothing, and slippers or flip-flops for an added touch of comfort. On top of food, décor, candles, aromatherapy, foot spa, fresh flowers and guest gifts, InSpaLA will even supply the DJ. ”For parties, the host simply provides the space. We do the rest. Our therapists bring equipment, supplies and an InSPArations experience kit, which includes music, aromatherapy spray, candles/incense, eye pillows.” Other therapeutic goodies include tea, granola as well as citrus water and spa bath salts for an on- the-spot aromatherapy bath. InSpaLA can also create a Zen Den, with Buddha statues, candle centerpieces, fountains, flowers, tapestries, food and music. “Or,” says McClafferty, “we’ll send out personal trainers and even hypnotherapists.” How’s that for inSparation? Party Services are reserved at least 3-5 days in advance (50% to hold date) and final service and payment is due 72 hours prior to the date (InSpaLA accepts MC/Visa). Guests can upgrade and add services on site the day of the party. Also, in most cases space isn’t a problem. “For most spa services you just need enough space for a massage table. If space is limited some services can be done on the bed,” says McClafferty. A good rule of thumb is to allow enough space for each treatment area as you would for a chaise lounge with some walk around each. Besides massages, many pregnant women like to get hand and foot treatments, including manicure, pedicures and reflexology, which is a massage is applied to specific areas on the hands and feet to promote a response from areas far removed from the tissue stimulated via the nervous system. INspaLA Mobile Wellness Spa has something for the whole family. This mobile service, in addition to spa services, also offers Parent Training classes for $125 and hour; Kid Coaching ($125) to help your child “overcome hardships; improve self esteem; social skill improvement; improve undesirable behaviors; improve family relationships; supportive academics and athletics; and positive outlook enhancement.” They also have Family Counseling as well, which could come in hand for expanding families. Their motto is bringing the wellness revolution to you, and do they deliver! You’ve heard of the mobile spa but a mobile wellness center? In the rise of the mobile spa… one contender rises above the mix. LA based INspaLA takes home & parties services to the next level by giving you access to SoCal’s professional spa & wellness network. Tired of same old party themes? 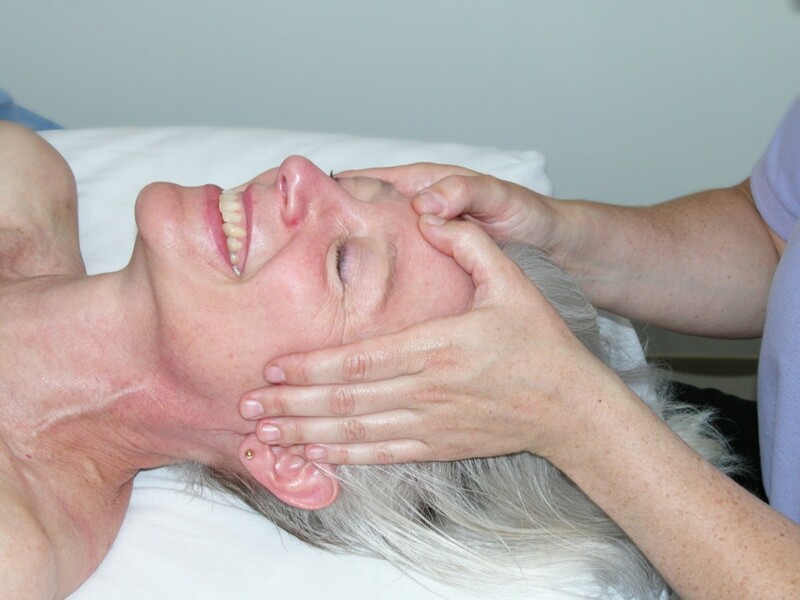 Try a unique custom wellness party with over 40 therapies to choose from… Let the healing begin. Like your relaxation with a side of healing? Get a massage & acupuncture service. 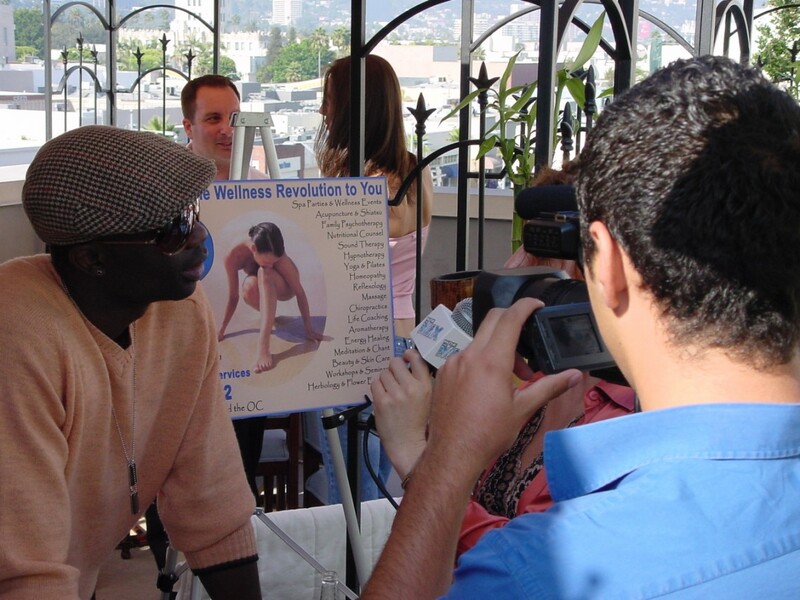 INspaLA plans fabulous themed parties like popular anti-aging party with nutrition, acupuncture face-lift & raw food. Take it to the office or stay home with friends. Try innovative concepts like their Wellness Circles which makes it affordable to access to personal trainers, nutritional counselors, acupuncturists, hypnotherapists and much more. This is not your mother’s book club. 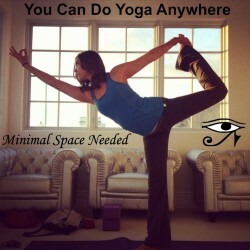 The idea is simple, gather a group of friends and pick a service like yoga, raw food lessons or how-to couples massage. Then switch it up every few weeks for a made to order reason to hang with your friends. Wish you had access to the therapists, counselors and trainers that the stars do? Now you can. Customize your own wellness plan and health regimen or work with an INspaLA party planner who hooks you up with custom packages within your budget! 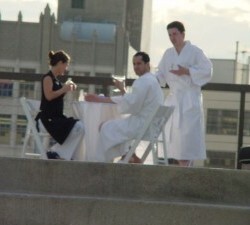 Enter the innovative world of the mobile wellness spa at www.INspaLA.com Get your spa on & have your wellness too. Don’t know what to get that special someone? Want to thank Mom for all she does? Need the perfect gift? How about an INspaLA Gift Certificate? INspaLA plans fabulous spa parties for your special events, including birthdays, holidays and weddings. 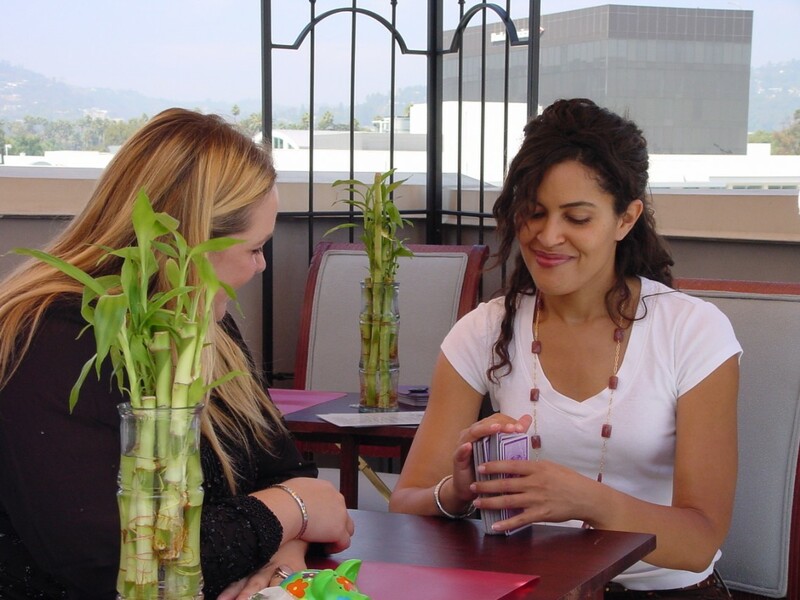 INspaLA delivers the Wellness Retreat sensation to your home, office, hotel or party location. Spa practitioners will instantly transform your space into a sanctuary with aroma, sound and touch. Only experienced and certified professionals are included in their network, delivering the highest level of quality, technique and hygiene. 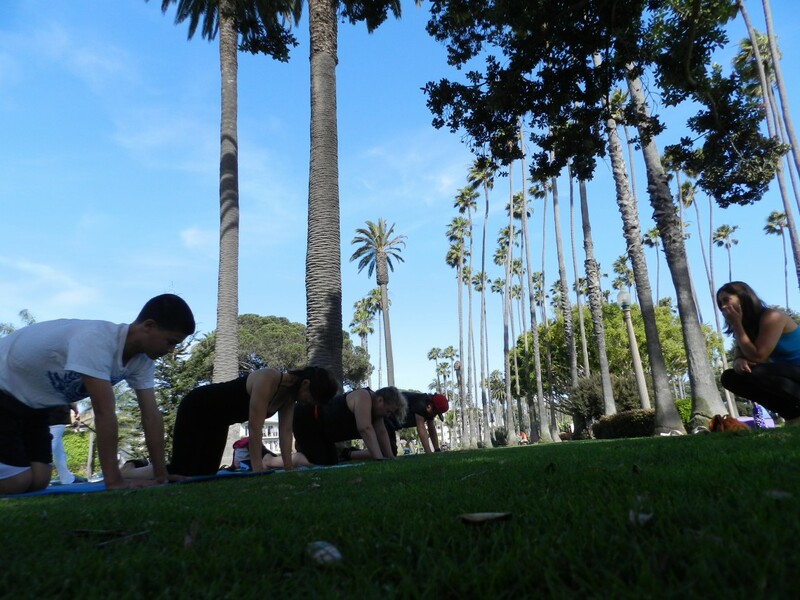 INspaLA guides you on your lifelong path to achieve total wellness. Since ancient times, humans have been using the benefits of nature and their bodies own healing properties to bring about continual wellness. Eastern medicine has long used natural elements in health and healing methodologies. INspaLA adopted this approach by promoting practical wellness; focusing on the spirit, mind and body. Let INspaLA connect you to your Natural Health and Wellness Guru. Indulge in a variety of holistic healing therapies from massage to energy work and join the INspaLA wellness revolution. Here’s how it works. You submit a reservation at least 24 hours before the requested time of service (3-5 days for parties), then they schedule a practitioner. Once the appointment is confirmed, they send the skilled practitioner to your location. 24 hours prior to the appointment they charge your credit card for the amount of service. Gratuity is paid on location at your discretion. It’s that simple! INspaLA offers the Best of ALL Worlds! Imagine the possibilities: Massage & Yoga in the workplace, Mom’s Group Nails & Facials, Bring Back the Romance Couples Massage, Bridal Registries, Health & Fitness; All tailored for and brought to you! So go on, Pamper ThySELF.